Italy’s Camerata Nuova: Does It Get Any Quainter? Nongriat Village: Is This the Mythical But Real Shangri-La? What Can Canadians Get When Their Flight is Cancelled or Delayed? 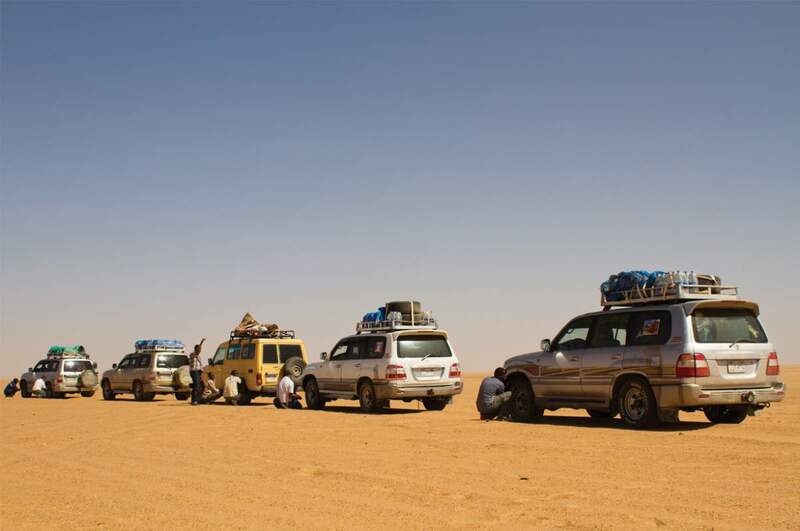 We were completely exposed on a stony ridge above the Selima oasis—five Land Cruisers spread out in a line—deep in the Sudanese Sahara. The sun had reached its morning peak, and every dusty piece of chrome was reflecting our presence with jagged flashes of light. That’s not a comfortable place to be when you’re staring down the barrel of a .50-cal. machine gun. Our guide, Moez, the man who had arranged our cars and permits, had a friend in the Sudan military. They were expecting us to pass by this remote outpost—the last place we were likely to see anyone before venturing into the deep desert. So I didn’t really think we’d be shot at. Still, the silence was tense and unexpected. 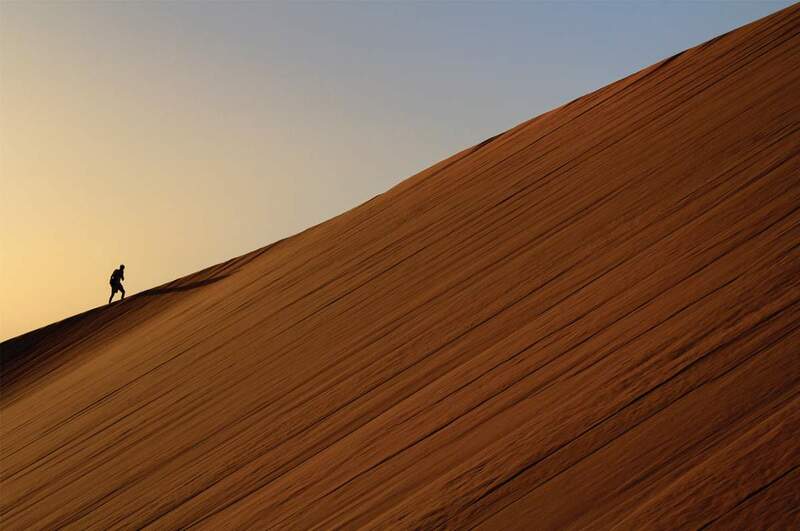 The stunning curves and soft sand of Barchan Dunes, great for desert camping. We had been told to approach slowly, and to stop on the ridge and flash our lights until someone gave us permission to drive down—presumably by firing a shot in the air. But the sandbagged machine-gun post was unmanned and no one saw us. Moez got out and conferred with Andras, our team leader. Had communications broken down? We were hesitant to approach, because the unexpected appearance of five Land Cruisers so far out in the desert would be met with suspicion, if not panic. Moez stood on the running board of the lead car with his arms raised, waving a white T-shirt. Then he gave the signal to move ahead. Slowly. In first gear. We crept down the stone track, past the decaying remains of military trucks, most without engines or tires. Only two cars were in anything resembling working order. No one noticed us until we were right in front of the gate. You might be wondering what the heck we were doing out there, so far from the villages of the Nile. It’s not like anyone accidentally wanders into the Selima oasis. It takes great effort to make it that far. But it was less than a third of the way to our destination. 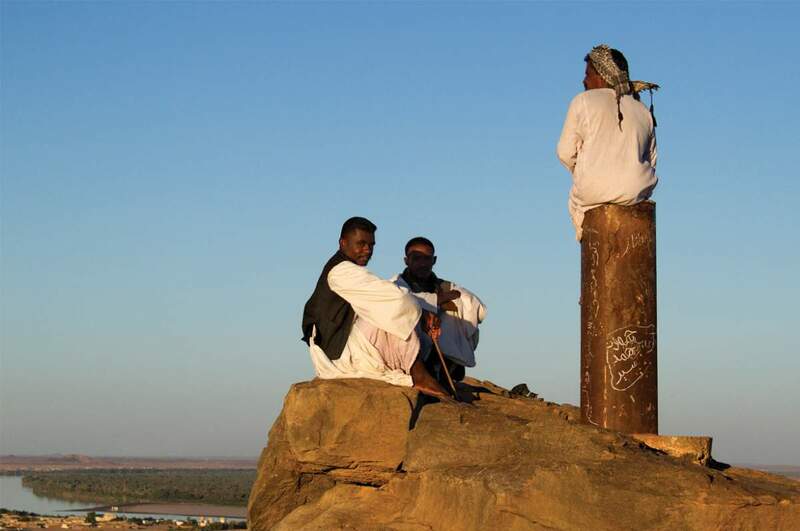 Our target was Jebel Uweinat, an isolated mountain that appears suddenly from the vast featureless desert on the three-cornered border of Sudan, Egypt and Libya. When it comes to the Sahara, I don’t think it’s possible to get any more remote than this. 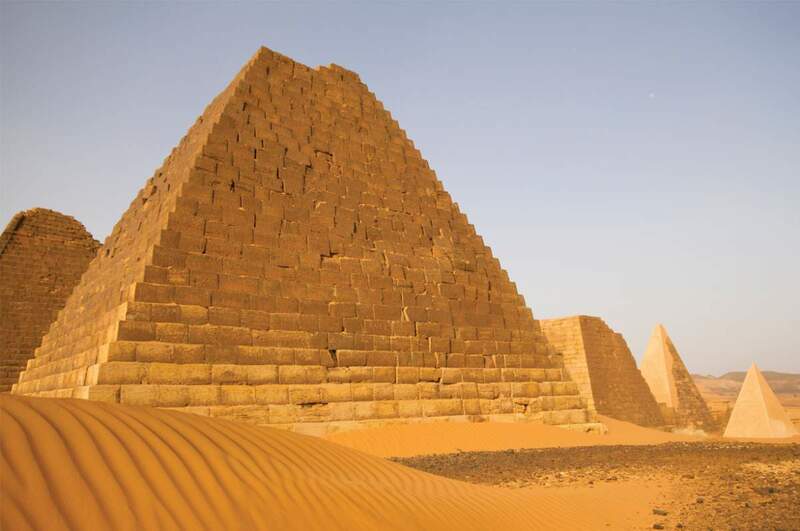 The mountain was so far off the caravan routes, which followed widely spaced water holes to the east, that it was only discovered in 1923 by the Egyptian explorer Ahmed Hassanein Bey. What he found there was astonishing. Uweinat’s valleys were densely populated in prehistoric times. 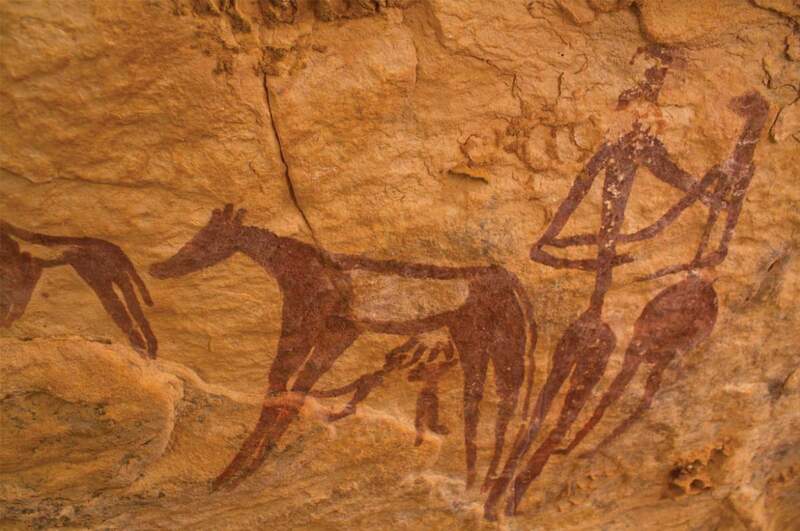 And today its barren stone is an absolute treasure trove of rock paintings and engravings, depicting vast herds of cattle, strange round-headed human figures, and even the occasional giraffe. These prehistoric echoes speak from a time in our very distant past when the Sahara was fertile. When it hosted an abundance of life. Hassanein Bey had reached Uweinat with camels—a remarkable journey, and a very risky one given the lack of water. But further exploration would have to wait until enterprising men like Ralph Bagnold and Pat Clayton began to pioneer desert driving techniques in the 1930s. Posted to Egypt with the British military, these men spent their leave time pushing Model T Fords and later other cars further and further into the dunes. No one thought it was possible. But they did it. And they managed to reach Uweinat and beyond. I’d read so many of their memoirs. And I read later stories of the Second World War’s Long Range Desert Group, which Bagnold had founded to wander freely in enemy territory, cutting Axis supply lines and vanishing into the sands like a mirage. I wanted to see the places they had written about. The scenes of their adventures. And I wanted to capture some of that feeling of freedom for myself. 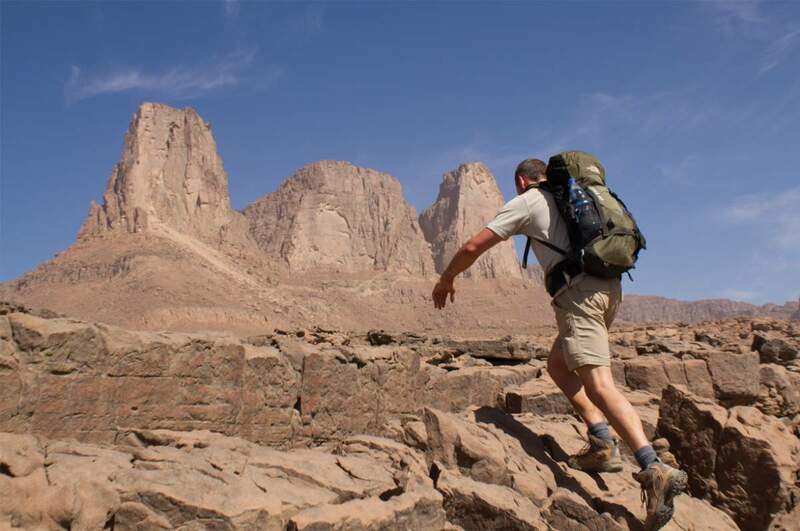 But getting to a place like Uweinat requires a serious expedition. It’s an extremely expensive undertaking. And so I began asking around. My search quickly led to the Hungarian explorer Andras Zboray. Andras is one of those rare kindred spirits you sometimes bump into on the road. Someone with a shared love of the desert, a taste for remote places, and a drive to see what’s around the next bend. He has probably found more prehistoric rock art than any other living explorer. And he certainly knows Jebel Uweinat better than anyone else. He’s spent the last 17 years discovering, photographing and cataloguing these sites. Andras had hit upon the perfect solution. He estimates the cost of a trip and participants pay their share, plus a little more to cover his own expenses. You’re free to pitch in on the search for new rock art sites, or to work on your own project if you already have something in mind. Two members of our expedition were searching out and cataloguing prehistoric stone circle settlements they’d mapped from Google Earth. A Hungarian member was obsessed with geology. And, well, I was there to write. Our other members came from even further afield: the UK, Switzerland, Belgium, Malta, South Africa, Canada and even Australia. 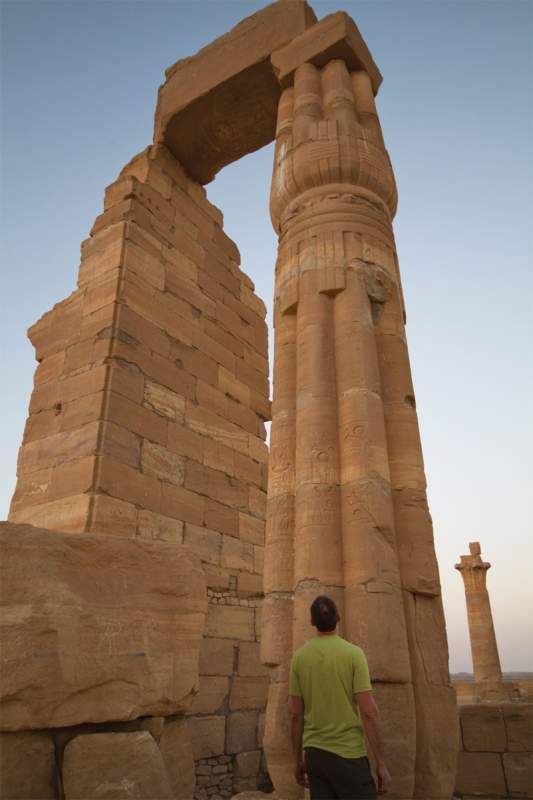 This was the first time Andras had tried to reach Uweinat from the Sudan side. Because our expedition was venturing through untested regions, it was restricted to previous Uweinat veterans, or to those with serious desert experience. I’d never been to Uweinat before, but I met the latter qualification. I needed a photographer, so despite her misgivings, I got my wife on the team, too. We gathered at the Khartoum Grand Hotel a couple days early to arrange permits and supplies. And I couldn’t imagine a finer group of individuals with whom to share the light of a twig fire. You might be curious about the requirements for venturing so far off the map. Safety demands that you travel with several vehicles, in case one breaks down. And it’s best to have a third in case the second one breaks down too, on the way to get help. We had four comfortable model 90 Toyota Land Cruisers in quite good condition. Plus one model 75—which locals call a “Buffalo,” the workhorse of the desert—to carry our fuel. That first night at dinner, I asked Andras how he managed the logistics. Getting to that desert was an expedition in itself. 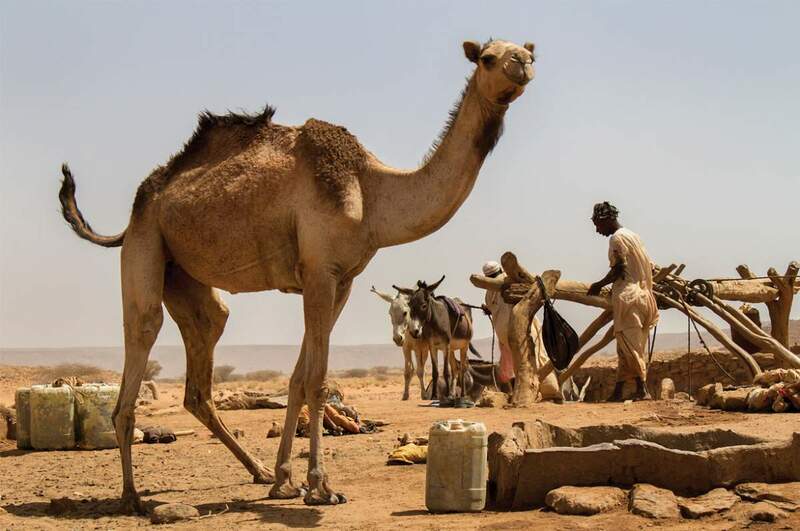 It took just over two days to drive nearly 600 kilometres north along the Nile, across a Sahel landscape dotted with termite mounds and wandering camels. We stopped to explore the pyramids of Nuri and Gebel Barkal, and we saw the Soleb Temple by day and by the light of our car headlamps. But the real journey only began when we turned off the paved road north of Toshka and deflated our tires. It would be the last road we’d see for weeks. With our tire pressure lowered, the rubber spread out—not broadly as is commonly believed, but longer—giving the cars a larger footprint with which to cruise over sand. I was sharing a Land Cruiser with my photographer wife, Tomoko, and an oncologist from Belgium. Our driver, Abbas, was a quiet man who smiled more than he spoke. And I was glad of that, because my desert is an introspective place. The cars spread out and picked up speed. This first phase, at least, would be good driving. The Selima sand sheet was a vast featureless expanse that extended as far as the edge of our world; an optical funhouse, where the rules of scale and perspective were cast into doubt. A small rock seen across this immense flat takes on the appearance of a man or a truck, or stands like a landmark, until you suddenly find yourself next to it and realize it is no larger than your fist. The orderly foundations of your senses no longer apply, and you begin to doubt geometry. But after many hours the hills did approach. And then we crested a ridge and saw a shallow bowl filled with palm trees. And that’s when we reached Selima oasis. No one noticed us, until we were right at the gate. We must have woken them up. Soldiers in T-shirts and dusty track pants staggered through the sand like freshly risen zombies. They looked us up and down without smiling, and scratched their dusty heads. We were told to wait in our cars, until the commander could be summoned. But it was fine and they were friendly. He staggered over, still groggy from his siesta, clutching a puppy. After exchanging a few words with Andras, shy smiles broke out all around. Our drivers offered cigarettes to some of the men. And we were given permission to wander the oasis and take photos. We climbed a steep hill to examine the ruins of what is supposedly a Coptic monastery—five small rooms and some Aramaic inscriptions on the rock below—so old that the wooden door lintels had petrified, like the rocky remains of shattered trees we had passed earlier in the day. We shuffled through the sand near the famous well, lost in private thoughts of all the explorers who passed here before us. The soldiers were friendly, but it was wise to get some distance before the last light faded from the sky. And so we drove on. Our first desert night was uncharacteristically cold. We camped in the open, near a cluster of rock formations. We had passed through bad stony country on the way to this place, and the heavily laden Buffalo had punctured two tires. As we spread out to pitch our tents, the drivers peeled the tires off the rims with heavy crowbars and patched the holes. We couldn’t afford to have them out of commission, because the same thing could happen again tomorrow. I was roused before dawn by the sound of dry coughs and collapsing tents. By the time the first gentle glow lit the sky, everyone’s personal gear was piled beside the trucks for loading. We shuffled around in the cold, eating dry Wasa bread and tinned paté off the open tailgate of the truck that held the big metal “breakfast box.” Lunch would be a similar meal—Wasa again, greasy rolls of salami and chunks of cheese cut off a large block. The same food every day, assembled quickly and eaten while standing. These small details, and the clockwork way in which they were organized, were another quiet demonstration of Andras’s mastery of logistics. I chatted with him over a mug of instant coffee while we waited for the others to finish. Andras has since catalogued and published all of these materials, and his website is a vast storehouse of Saharan knowledge. I smiled. It had drawn me there, too. That lure of the unknown. The sense that I could in fact discover something no one else had ever seen, even if it was just a pile of sunbaked stones. That didn’t matter. Those were my stones, because I was the only one who knew they existed. Everyone who had gathered together with us in Khartoum felt this truth in the deepest part of their souls. And then Andras dumped the dregs of his mug on the sand, closed the breakfast box and shut the tailgate with a clang. The day was a long, sunbaked repetition of the one before. Our car cruised over the sand like a boat on a river, and I felt it shudder and weave from side to side as we encountered light chop—wave channels guiding and pulling our wheels. But in this case, our wheels were being guided by the pull of history. These were the tracks of the Kufra convoy: a vast sprawling network of ruts that had gradually refilled with 60-plus years of fluffy blown sand. 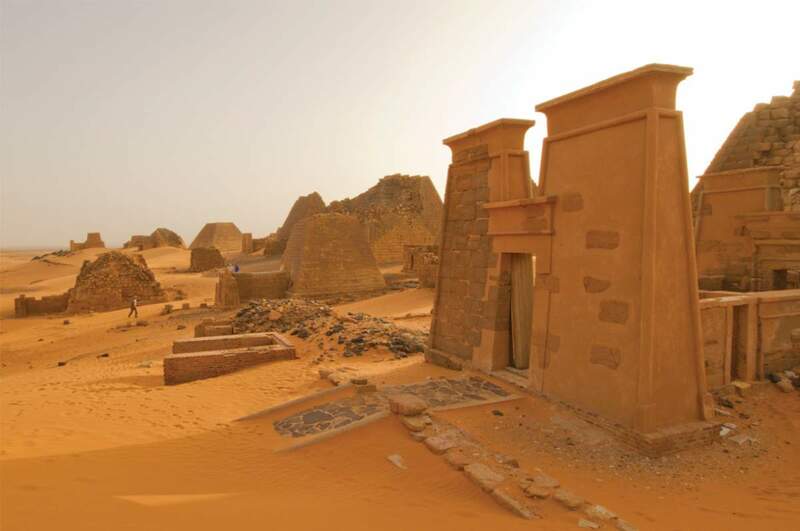 More than 200 pyramids have been found in the vicinity of the Meroe town site, circa third century BC. The convoy was one of the greatest logistical feats of the Second World War. Near the beginning of the North Africa Desert Campaign, which began in June 1940, the Allies had occupied Kufra oasis deep inside Italian-controlled Libya. It was a threat to Italian (and later Nazi) supply lines. But the Allies had to supply Kufra from what was then Anglo-Egyptian Sudan—across this vast empty desert, through the “back door” that men like Bagnold and the Hungarian explorer Laszlo Almasy had pioneered. And so for two years a convoy of heavily laden lorries passed through this desert every two weeks: one week to Kufra and one week back to the Nile. The 1,200-kilometre journey was never an easy one. As we continued west across the sand, we passed discarded petrol tins and the shredded remains of tires that had been left to indicate the way. And finally, hours later—thanks to careful work with a 1934 survey map—we located Jena Dump: a large cairn of four gallon Shell petrol tins dating from the war years of 1941-42. The sun and the sand had removed any painted markings long ago. But these relics were otherwise very well preserved. A fit of nostalgia pulled me back in time, and I almost expected to see Kufra-bound trucks on the horizon, painted in desert tan. From Jena we turned north, fighting our way through sticky sand in Sand Dune Gap, just five kilometres from the Egyptian frontier. Our progress was slowed by rough rocky terrain, and by constantly having to unstick the cars. Night found us camped in a shallow bowl in the open desert. We’d passed the fresh tracks of heavy trucks late that afternoon—a trading or smuggling route—and so we killed our lights and ate in darkness. In the disconnected dead of night I heard the engine of a large truck roaring in the distance, refracting its headlight glow on the sky from miles and miles away. The sound carried so well in the clear dry air that I thought it was about to crash through our camp. Proper exploration began on the day of our final approach. I expected this region to be flat and featureless, but the desert near Uweinat was marked by small rocky hills and ridge lines, many of which were topped by the stone circle remains of prehistoric settlements. We stopped along the way to survey these sites, and found the flaked remains of tools and even a few shards of pottery. Finally, the great mountain breached the horizon. And the vast flat expanse of the Hassanein Plateau grew larger… and larger…. and larger. We made camp in a broad sandy wadi called Karkur Talh. Its flats were scattered with thorny acacia trees that were still slightly green from the last rain, which to our best reckoning was at least 10 years before. And my first unfavourable impression of Uweinat was a stifling mix of heat and suffocating clouds of flies. I don’t know how those flies survived out there, or what they could possibly live on, save the very tiny population of waddan, the elusive desert sheep whose tracks and droppings we occasionally saw. Because water was scarce, the flies darted in to take moisture from the corners of our eyes and mouths. The only relief from their unwanted attention was a fly net worn over the head. But when the day finally ran out of light, the swarms of flies vanished like a mirage. We fetched our plates and mugs and slid down the sloping wadi sand to gather by the cars, where we shared dinner from a large pot and chatted quietly by the glow of a twig fire. There wasn’t another person around for hundreds and hundreds of miles. We spent a couple days examining the incredible rock art sites first discovered by the Belgian expedition of 1968. They covered the ceiling of several shallow galleries high up the wadi wall. Vast herds of cattle painted with smooth flowing ochre strokes, and yellows and whites, all conforming to a very distinctive style. After lunch, I got my first taste of exploring up on the plateau, when a few of us hauled ourselves up a steep cut to search the last remaining blank spots in this area. The plateau was hotter than anything I’d experienced so far. It was a fractured land of loose black stone that looked as though it had been blighted by the gods in a fit of lightning-hurling rage. Jagged outcrops and spires of rock were piled in a surreal wasteland fashion, confusing the eye and disorienting the mind. I was surprised by how abrasive the rock was, and how it ate through our shoes. Even sturdy hiking boots would have to be patched together with glue and silk tape. The mountain had a way of separating you from your soles. We agreed on the parameters of our search and fanned out, crouching to look under every outcrop and overhang for traces of pigment, or for the faint scratch of an engraving. It was tiring work in the heat, but I was beset by a nagging feeling that if I didn’t stop to look under every possible hollow, I might miss something and let down my team. And so I scrambled on, scanning and ducking and sweating in rivulets, until I would hear the voices of my companions calling me back. It was so easy to wander off in that maze, because how could you not go just a little further to check out that promising ridge…? We didn’t find anything new that day. But we would find many new paintings throughout the trip. And each time, Andras would lie on his back to patiently photograph them, noting the position in his GPS for later cataloguing. It was in this way, piece by piece, that he and others like him were slowly teasing the history of the central Sahara out of the dim sun-faded mystery of the very distant past. This tenuous connection with lost ancestors intrigued me, although I didn’t get as excited as Andras each time we found a new painted cow. What I liked best was the sense of the unknown. And the fact that we had to navigate through it on our own. We had to keep that mental map firmly in mind—and keep updating it. Otherwise, how would we find our way back to camp? And it wasn’t all cows and painted roundheads, either. For me, the highlight of our stay in Karkur Talh was an exploratory hike to examine a curious geological feature. It looked like a circular crater in satellite photos, but there shouldn’t be any volcanoes there. And so we set out at dawn to see for ourselves. We found an easy access up onto the plateau and followed a prehistoric trail that Andras had discovered in 2010. He’d shown this to me earlier on Google Earth. Thousands of years later, it was still clearly discernible from above. The marks we leave on the desert rarely fade. It was an easy walk in the beginning, and we found the scattered remains of prehistoric tools, a couple of stone circle settlements, and even some very good pottery shards. Pottery was a prized find, because its style and composition gave us clues as to which group, which civilization, had occupied a site, and at approximately what time. At first I was amazed by how some of the others could spot these stone tools. They all looked the same to me in this jumble of rock. But the patterns leaped out as my eyes began to adjust. Tools were often surrounded by a collection of smaller flakes. Almost as if the toolmaker had just knapped out a hand axe, brushed the discarded bits off his legs, got up and walked away. We examined these things carefully, with reverence. And then we placed them back on the ground. It’s unlikely that anyone will ever excavate that remote place. But if they do, these remains will tell a story. And they belong to the desert. After a few hours we reached a patch of broken ground, and the landscape was suddenly transformed from sandstone country into eroded badlands. It was almost as though we’d crossed an invisible border. We struggled into and back out of deep watercourses that had been carved into the soft terrain. And then we followed one that seemed to be headed in the right direction. This soon became a well-travelled trail. The bones and withered skin of a group of camels in one steep gully indicates that it was a main route connecting Karkur Talh with the south. It would have been used by the Toubou people who had briefly occupied Uweinat around the time of Hassanein Bey, in the early 1900s. But it was bypassing our crater rather than leading into it. We had no choice but to seek elevation. Our day became a long exhausting scramble up slopes of loose stone. We climbed a hill only to discover another hill beyond it, or more badlands. The temperature rose until it felt like we were stumbling across a stone-filled frying pan. But there was the crater rim, only a little farther. We could see it now. And so we wiped the sweat from our eyes and pressed on. Our struggle was worth it for the view alone. We finally stood on the rim of a vast circular basin—crater-shaped but evidently not volcanic, given the enormous plug of eroded granite that sat at the bottom. A large cut on the southern side opened into the wadi, and beyond it vast plains spread into the desert distance, where Jebel Kissu—a smaller mountain—stood lonely as a sentinel far out in the sand. We’d walked half a day through punishing heat and unforgiving terrain, simply because the crater was there, and we wanted to know what it was. I can think of no better reason to undertake such a journey. And I was grateful to take it with this small group of people who felt the same. By the peak of the day, the temperature had climbed above 40 degrees Celsius. Too hot to walk. We found a cluster of rocks and sat down to wait. We’d brought Wasa crackers, two tins of paté each, and a package of apricots. All other available space was devoted to water. The ancient art depicts herds of cattle, painted with smooth flowing ochre strokes. The boulder was only four feet high, and the sun nearly vertical. But if I lay close against the rock and stretched out, I could just tuck myself into a scant patch of shade. And so I put on my net, cleared away the pebbles, rested my head on my pack, and slept. Daytime at Uweinat can be a terrible ordeal—so hot your vision starts to blur at the edges. You can almost feel your brain baking in your skull. One by one, those wandering hiking thoughts evaporate away, until you can’t think of anything except putting one foot in front of the other. And for those furnace hours of noon you crawl beneath a shallow patch of shade next to a rock, and you try not to move. Not even to brush a fly off your nose. But when that late afternoon light comes down, you will forgive the desert anything she has done to you. And you’ll be pulled back there, again and again. Somehow, the mountain had worked its magic on me. I hated the fly-blown wadis at first, and the punishing heat of the plateau. I couldn’t understand why these people would keep coming back to this barren and hostile place. Why not go to some other desert instead? But now I sit up late at night staring at satellite photos, zooming in on the places we’ve been and the places I still haven’t seen. And I find myself wondering what might have been around that next bend. If you go there, be warned: this is the hold Uweinat will have over you. And you will return. After two weeks in the deep desert, our time at the mountain had finally come to an end. We broke camp quickly and efficiently, and turned our cars toward the East. The drive back to the Nile passed in much the same way as the outward journey: in a blur of mirages, Wasa crackers and cheese, stone circle settlements, music in my headphones and the marine pull of our tires on soft sand. We passed through difficult stony country, where our progress slowed to a crawl. And when we stopped, our drivers indulged their gold fever with a cheap Chinese-made metal detector. I was tired of stone circles, so I decided to throw in my lot with the prospectors. This was evidently a bit of a novelty, and they were eager to teach me how to use the device. “We can split any finds 50/50,” Walid the mechanic said, slapping me on the back as I swept the cheap plastic dish back and forth. “I’m sorry man, but my fee is 70/30,” I replied. “Noooooooo!” They all began to howl and wag their fingers. But this was quickly replaced by shouts and frantic digging each time the unit let out a beep. Unfortunately, their optimism was founded upon a total ignorance of geology. Andras tried to tell them that the field was littered with iron pyrites, and each one of these set off the machine. There wasn’t the faintest chance of finding gold in that area. But he could never convince them of this. They had a dream. That night we camped on soft sand beneath the beautiful curve of a barchan dune. After the tents had been pitched and darkness fell, Walid came over on behalf of the drivers and asked me to share their evening meal. I was touched to be invited into their space, and to be accepted on their terms. The guys were sitting on a huge plastic mat that had been spread between two cars, grouped around a communal bowl. They reached in and grabbed a handful of rice mixed with beans and lentils, and popped it into their mouths, chattering cheerfully. I sat down and did the same. They were a good natured bunch, always smiling and laughing. And they were competent drivers who never avoided work. It was the first time any of them had been out this far, and I was curious to know what they thought of Uweinat. “Do you guys like the desert?” I asked. Abbas, the easygoing driver of our car, would come back. And Walid was up for another trip. But the others had experienced enough isolation. Musab, a stocky man with a voice like Tom Waits, looked up and said, “I like my home.” And after a pause, “I like my wife.” The trip was over for him, and it was time to go back to his world. Two days later, we approached the Nile. Our return to “civilization” was marked by garbage. Several kilometres out from the paved road, we began to encounter windblown trash in greater and greater quantities. And then we saw overloaded trucks in the distance, making the long lumbering journey to Wadi Halfa and the Egyptian frontier. We stopped to re-inflate our tires. And then we turned on to the tarmac road, and the hum of pavement replaced the gentle sea-swell pull of soft sand. A heavy sadness filled our car, and I sensed that same introspective silence from the other vehicles up ahead. None of us wanted to be there. It was such a strange sense of dislocation. Like the world was no longer on its proper keel. A place like Uweinat is so completely remote, so absolutely cut off, that it’s beyond the reach of any government. There’s no one to tell you how to act, or to penalize you for the way you drive. You can do anything you want. Out there, you’re the absolute master of your own destiny. This is something we’re robbed of in our day-to-day lives. It’s the compromise we made when we began living in societies. In the desert, you can recover that feeling. And that piece of yourself. But make no mistake: it comes at a price. 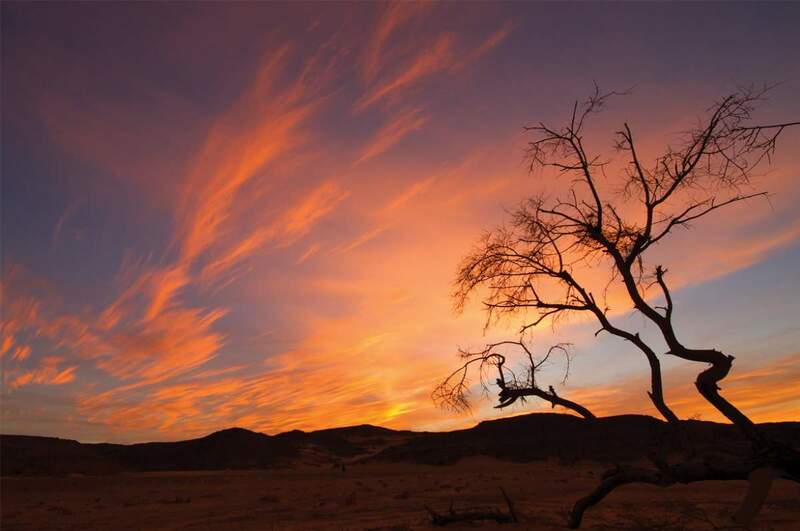 Nearly all travellers who come to grief in the desert make the same common error. They forget that freedom is only made possible by structure. Freedom and structure are two sides of the same coin. Or as my friend Andras is fond of saying, “Fuel buys distance, and water buys time.” It’s a simple equation. But unless you master those unforgiving logistics, the only freedom the desert will give you is freedom from life. I think that’s why I identified so strongly with those early Uweinat explorers. Men like Bagnold and Hassanein Bey. They knew what it was to crave this freedom. And they spent much of their lives fighting the ties that held them to their own personal Nile—whether it was military authorities with the power to grant a leave of absence, or suspicious petty bureaucrats who tried to keep them from the desert because they simply didn’t understand it. When these men ventured into the vast empty spaces, guided by nothing more than their intense curiosity, they felt their spirits soar free. Once you’ve tasted something like this, you can never go back to the normal world. A piece of you will always remain out there. And it will call to you. Just as it has called to me and lured me back, year after year. Desert after desert. Need a Spot of Sun? Here are 5 of Taiwan’s Most Fantastic Beaches! Is it Possible to See the Curvature of the Earth from Earth? © 2019 Outpost Travel Media. All rights reserved. Need more wanderlust in your life? Like us on Facebook for more travel news, far-flung stories and contest announcements!